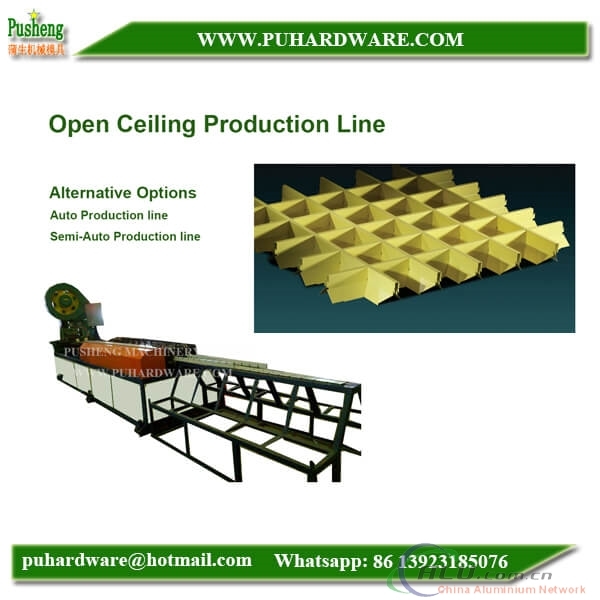 Pusheng Machinery is professional in making the complete production line for metal ceilings and aluminum ceilings and ceiling accessories, such as the ceiling plate machine, open cell ceiling roll forming machine, strip ceiling roll forming machine, buckle ceiling production line, slatting ceiling production line, baffle ceiling production line for 16 years. a. This whole line of this open ceiling is working automatically. b. The capacity of the machine is fast. c. The finished product is perfect.